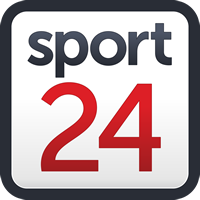 World Sports Betting Cape Cobras coach Ashwell Prince is relishing the fresh beginning that comes with the start of the Momentum One-Day Cup as they prepare for their tournament opener against the Warriors in Paarl on Friday. The hosts have endured a miserable week after missing out on the 4-Day Domestic Series title exactly a week ago when they were edged out for the country’s premier domestic cricket prize deep into the final day. Prince admitted it was a bitter pill to swallow as the bizhub Highveld Lions ended the campaign with a flourish to pip them at the post but said there were some hard lessons they learnt from it. “This is a new competition now and we have been playing some good cricket over the course of the season,” Prince said. “We’ll look to carry that into the Momentum One-Day Cup starting this week. “I thought we gave the four-day campaign our best shot, so credit to the Lions for beating us to the line. Fair play for them after ending the season with four wins in a row. “There’s a lot of lessons to take out of it. We obviously all work hard during training and pre-season and when you come so close to winning the title, especially this four-day one which is the ultimate, you sort of realise why you put in all that hard work and why everyone pushes you for that extra five percent. “When you experience that feeling of falling just short, it gives you that understanding of maybe you should have given just that little bit more. Their first test of the white-ball season is against the defending champions, who jointly shared the title with the Hollywoodbets Dolphins last year. Prince is expecting a tough examination at Eurolux Boland Park. “They had a good campaign last year and have some good really good white-ball players,” he stated. “I think we’ll be up against a good team, so we will have to make sure we hit the ground running. Meanwhile, Warriors coach Rivash Gobind is also looking forward to the change of format after what was a tense red-ball season where they ended third behind the Lions and Cobras. “It was such an exciting four-day season and it went by pretty quickly,” he said. “To go to the last day of the season was really special. Looking forward to the challenge the home side will pose, he added: “I suppose they’ll treat it like any other game, they’re a very competitive unit and always play to win. “I don’t know how much you can take from one format to another, they will have personnel changes like we will. There will be a bit of a different feel to things.